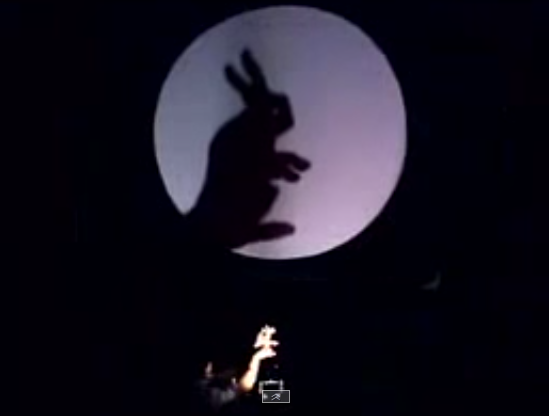 Home Video News Hand Shadow Perform - Is that amazing ? Hand Shadow Perform - Is that amazing ? Postghost: Basic observation indicates he hand shadow method for Louis Armstrong is completely indistinguishable from the hand shadow method for a monkey.ProGamingProphecy: Almost didn't watch it, didn't think someone could come up with so many shapes. Great Performance!Joshua: at first i was like ok I'm about to leave this video, but then i saw the image of the singer and i was like ahhh ok. then all the funny images he created afterwards i found it entertainingjoey khoury: OMG that made me cry a little but the cute little bunny cheered me up and it is the most taleted thing that I have ever seen in my ENTIRE life.